Flat 25% Off on all Test Series, Video Courses & eBooks for Bank & SSC Exams. 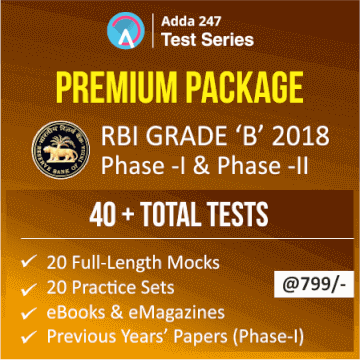 Adda247 brings to you a month end offer with Flat 25% Off on all its Test Series, Video Courses and Ebooks subscriptions on 30th and 31st July 2018. You just have to apply the coupon code BS25 and there you go!! Adda247 test series incorporate a variety of problems that equate the level of commonly asked questions, previous year questions, and fresh pattern questions. Computer-based Test Series help you save your time as they simulate the real tests and let you know you how to attempt the examination in a way that you are able to attempt the maximum number of questions within the given time limit. The test series available on the store are for SBI Clerk, SBI PO, IBPS PO, IBPS RRB PO, IBPS Clerk, IBPS RRB Clerk, SSC CGL, SSC CHSL, SSC MTS, and many more competitive examinations. The video courses cover up all the topics of each and every subject that you need to be excellent at for the upcoming Bank and SSC Exams. Adda247, being cognizant of the needs of government job aspirants, has now come up with it with a cost-effective and efficient package of video courses that can be accessed anytime, anywhere without having to worry about the availability of a coaching center in your locality. Only Adda247 Video courses encompass a range of tutorial classes that guide you in accordance with the level of new pattern questions, previous year questions, and most expected questions for Bank and SSC Exams. So students, you can get all these test series and video courses at a reasonable price with 25% off on all Bank and SSC Exams Test series, E-Books and Video Courses on 30th and 31st of July. So avail the offer before its gone.